As I ventured out today the wind provided a natural wispy environment, not so harsh as to blow me over, but more like a dancing motion. Perpetuating the leaves to do something similar as the beautiful Tango. I suddenly came to a cross road, which way do I turn? Before deciding, I look forward. Straight ahead was a golf course. That’s when it hit me! Why are there always golfers on the golf course mid day? Do you know why? Is it because all golfers are wealthy while everyone else is broke and working longer hours than them? I wonder why? (As I appear to be creepily starring at the golfers with a pink bike, pink Flamingo on my back, a bright neon shirt and my sparkly sunglasses on, that if the sun hit it just right, would blind a golfer from doing what they do). Anywhooo back to the question, why does there always seem to be golfers on the golf course? After close examination, it’s because golfers LOVE to golf. Just like anything else, you will work a job, create a career, or find another way to be happy and do what you love. This topic came to fruition while I was battling with myself, about not working harder, but rather working smarter and having fun while I am doing it. You see the majority of people are hitting the hammer over and over again before they know what they are building! If you hated to golf, would you plan to spend you only few hours of free time playing a round? Of course not. Nor would you begin building a house without a plan. Your life is the same way. Begin today to notice the small things in which you felt happiest. And do more of that! As I work closely with Debbie and Rhian, I realize our new company is being put together by love and faith. Everytime I have said, out loud, a need for my company someone has appeared!!! I continually live in awe and expect the best for me in all situations. This entry was posted in adventure, Business, entertainment, friends, Happiness, law of attraction, Love, Uncategorized and tagged achieved, addiction, behappy, dowhatyourlove, dreamjobs, education, emotions, excited, fears, golfers, livelove, Love on September 21, 2017 by teenadrake. Oh My Goodness! It keeps getting better and better! Have you ever been working on something and as it continues to unfold it gets better and better? Me too!! I can barely contain myself. I feel excited, happy, understanding and amazed about my new program/campaign. You see the ideas in my head are exploding with love for you! 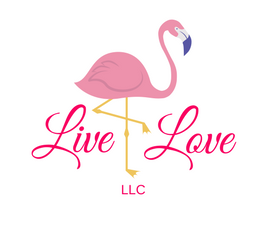 My business Livelove is coming to fruition in an accelerated manner. This new company will offer you unique gifts, hypnosis, Angel Card readings, how too videos, life coaching and much more. It is like a smorgasbord or buffet of the finest foods in life! Except it’s not food, but rather opportunities for you to find your own happiness. Under the same umbrella of Livelove is my ‘Be Happy’ campaign. This portion excites me the most of all!!! Just writing about it creates a feeling of ecstatic!!! I am enjoying the journey of writing it and learning. I just can’t wait to share this information with you. It is going to be fun, fun, fun, fun ,fun!!!!!! You won’t want to miss us when we are in a city near you! Why? Because this is like nothing you have ever seen before. EVER! Some will attend to learn about having a more fulfilling life, full of joy, bliss and fun. Yet, others will come to have the experience of FUN. I am so excited to have been chosen to provide you with this message. I will keep you posted on upcoming events and when the most amazing online store will be abailable to purchase. (Idk about most amazing, but the products are pretty neat!). This entry was posted in adventure, communication, Education, Energy, entertainment, family, friends, Happiness, law of attraction, Love, Not perfect and tagged action, adventure, amazing, behappy, blessed, blissful, communication, dance, did you hear?, dreamjobs, education, enjoy, live, Love on August 2, 2017 by teenadrake.